she, her, hers; he, him, his; they, their, theirs, ze/zie, hir, hirs, etc. Lesbian, Gay, Bisexual, Straight, etc. Jamaican, Italian, Japanese, Latin@, etc. Muslim, Hindu, Jewish, Buddhism, Catholic, mysticism etc. What accommodations could be made to make the training more accessible and comfortable for you? These accommodations are available upon request: Pose modification, ASL interpreter, Larger Font, Braille, Audio recording. What is the start date of the training you are applying for? If "some challenges," please specify. A $500 non-refundable deposit is due with your application to hold your place. 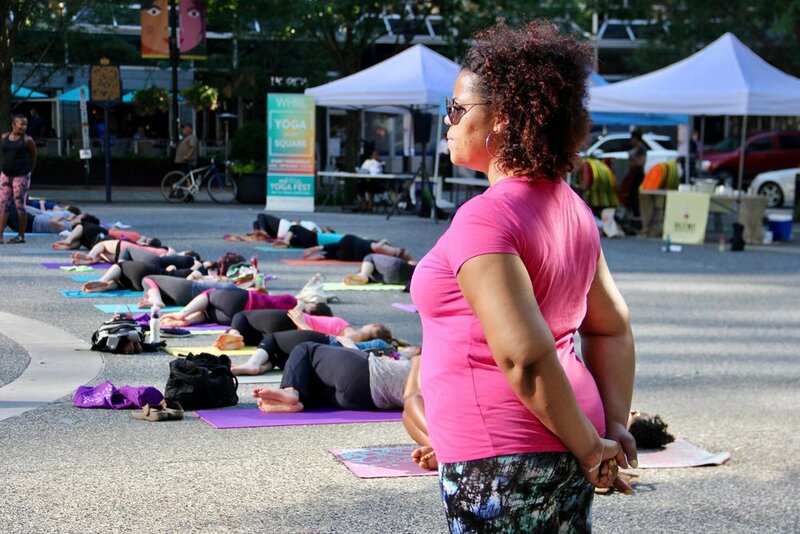 If for any reason the training is cancelled by me, Felicia Lane Savage, Founder and Chief Executive officer of YogaRoots On Location, LLC, you will receive a full refund of your security deposit plus any additional monies received. Payments are due on the first of each month regardless of scholarship amount. I can pay $290 in 10 monthly installments on the first day of every month starting on October 1, 2019. The cost prevents me from attending the training. I would like to barter and apply for a scholarship. I understand that if I fulfill all the requirements of the YogaRoots On Location Teacher Training, including in-class hours, homework, quizzes and final exam, I will receive a certificate of completion, which can be submitted to the Yoga Alliance or a prospective employer as evidence that I have completed a 200-hour Teacher Training program. I understand that this yoga teacher training includes 25% racial and social justice work, 25% physical yoga practice, and 50% Raja Yoga practice. I understand that YogaRoots On Location reserves the right to ask me to leave the program if my behavior is inappropriate, unethical or violates the Yoga Alliance Code of Conduct (https://yogaalliance.org/AboutYA/OurPolicies/CodeofConduct). Under such circumstances I understand I will not be refunded my tuition. I understand that my application must include one reference submitted separate of this application. I understand if I cancel within 14 days of the start of the training, I will forfeit my $500 deposit but my remaining balance will be refunded. Once the program begins, tuition is nonrefundable and non-transferable. I understand that all YogaRoots On Location Teacher Training materials are under copyright protection and cannot be reproduced by me without the permission of the author. I have read and accept the above terms and requirements. YogaRoots On Location, c/o Felicia Lane Savage, 533 North Saint, Pittsburgh, PA 15206, payable to YogaRoots On Location Teacher Training.